Today’s blog post will be all about my new hair from Plush Extensions. I installed the hair myself yesterday so this blog post will be an initial review based on my first impression of the hair. 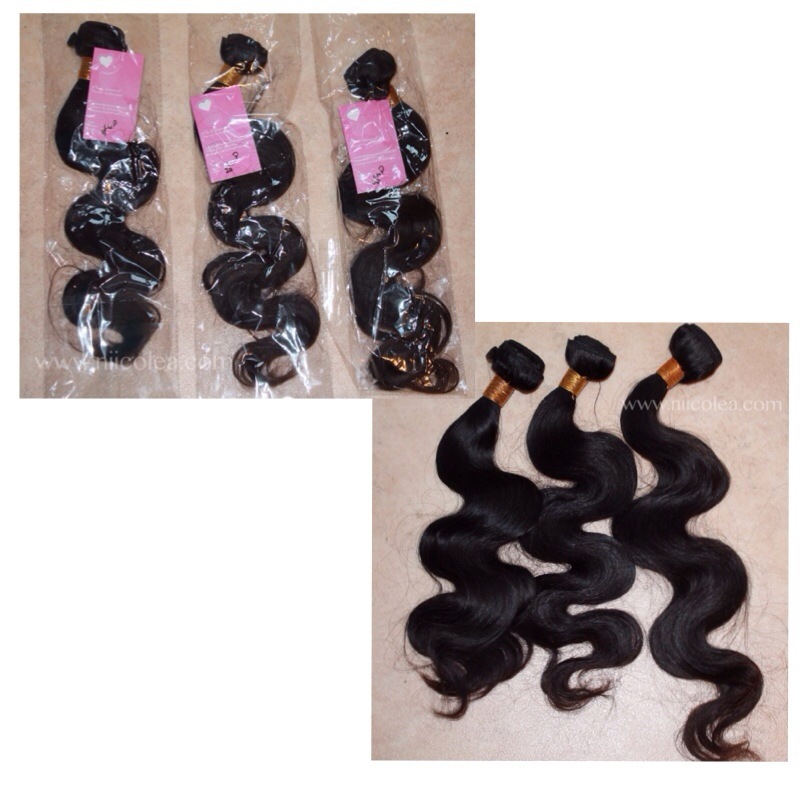 I have three boundles of hair in the lenghts 18″, 20″ and 22″ of Peruvian Virgin Lose Body Wave. Before sewing in the hair I co-washed the hair with a conditioner from Dove and let the hair airdry. I braided my hair and started to sew the hair boundle by boundle, without cutting the wefts. This is my first time trying peruvian hair and I must say that I absolutely love this hair so far. The colour of the hair is a natural black colour, since this is virgin hair (unprocessed hair) and it has a beautiful healthy luster. 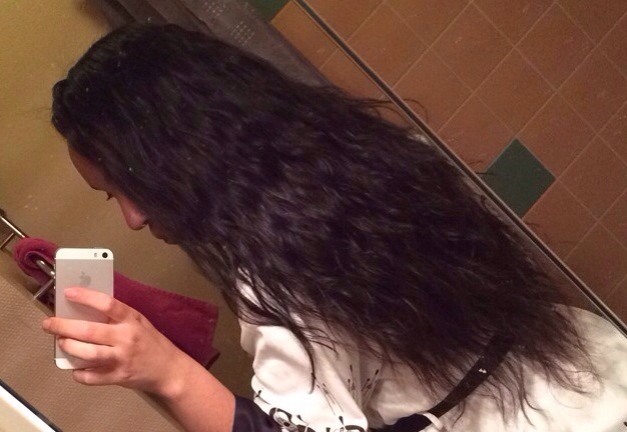 I am very impressed by the full density of the hair – To me it looks like I have more than three boundles installed. I love it! As far as the shedding of the hair goes, I did experience quite a few strands of shedding while installing the hair. However it was nothing that bothered me. 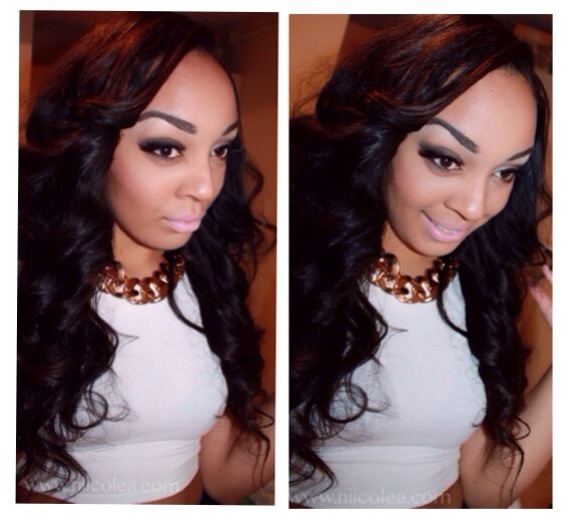 Plush Extenstions offers great affordable deals on virgin hair from a variety of different origins. Use the promo code Plush5 to save $20 off on your next purchase at Plusextentions.net. I will do a final review on my hair in a few weeks to give a more indepth review on the hair, but so far so good. What do you guys think of my new hair? Check out Plush Extension’s Facebook and Instagram for great boundle deals. I know right! love it! Oh wow, your hair looks AH-mazing! It’s like my dream hair, lol 🙂 Very nice. Looks great. Look forward to seeing your future post 🙂 I’d love to hear your feedback on my post as well! I just ordered hair from here on Friday. 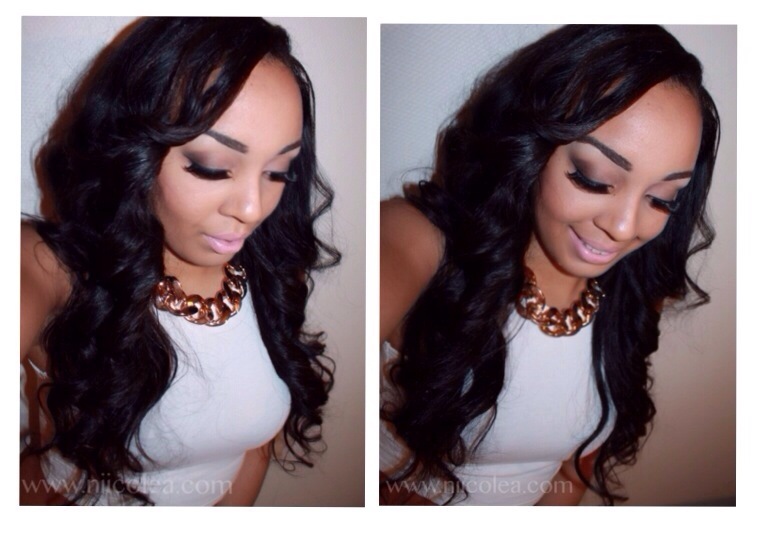 Malaysian Body Wave. Hopefully I’ll have a positive experience as well. How has the hair been for you since you installed it?